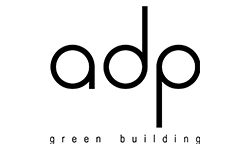 ADP is one of the leading companies providing consultancy, assessment and environmental studies for green building certifications (BREEAM, LEED, WELL and LBC). ADP was the assessor and consultant for the highest rated BREEAM certified building in Romania. It provides the complete set of services for designing and building top green buildings.